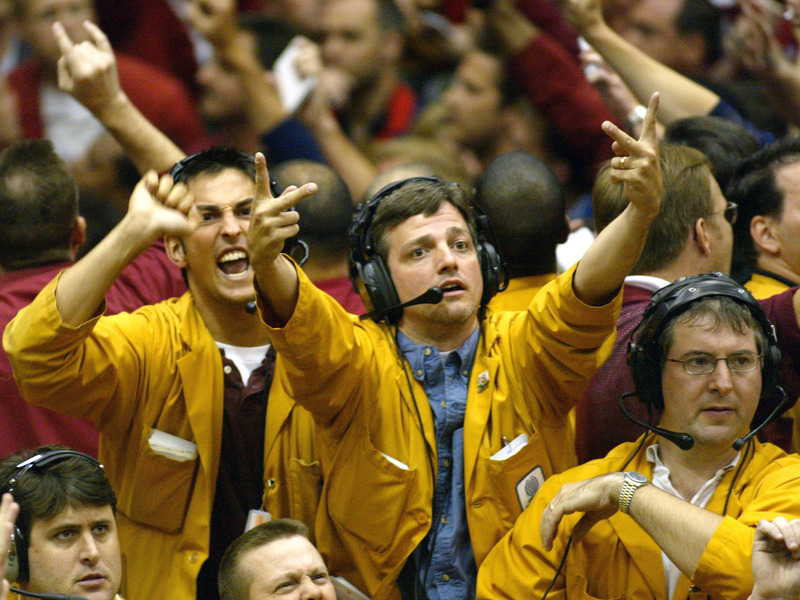 Goldman Sachs analysts have pulled the plug on a stock market recommendation that they made consistently over the past two years. Companies with strong balance sheets no longer have an edge over firms with weaker assets, they said. They outlined the reasons why, and what this reversal means for the current investing landscape. 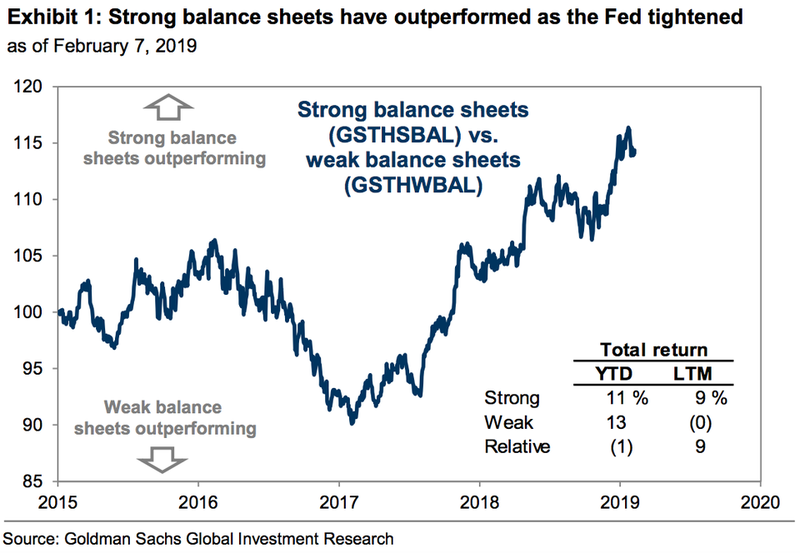 The strong run for companies with strong balance sheets is over for now, according to Goldman Sachs. The firm's equity strategists are pulling the plug on their recommendation to buy a basket of companies with plump assets and strong credit, which they first made two years ago. At the time, the Federal Reserve had just begun raising interest rates for the first time after the financial crisis. The prospect of rising borrowing costs and the coincidental crash in oil prices made it safer to load up on companies in the strongest position to fight a downturn. The bet on cash-rich companies paid off, according to David Kostin, the chief US equity strategist at Goldman Sachs. Companies with strong balance sheets have outperformed those with weaker balance sheets by 25 basis points since the Fed started raising rates, he said in a recent note to clients. Fast forward to today, and Kostin says these asset-rich companies are unlikely to continue outperforming in the near-term. He still recommends them for longer-term investors and as a hedge against tail risk. But for now, the two-year-old call is on ice. Below are the four reasons Kostin offered, all direct quotes from him. Should any of these four factors change - Fed policy, economic growth, earnings, and relative valuation - Kostin says Goldman will reinstate its call or recommend companies with weak balance sheets. 1. The Fed's recent dovish commentary indicates that the hiking cycle may have come to an end, which should ease pressure on corporate balance sheets. "Our recent research showed that strong balance sheets are among the worst performing factors during the 12 months following the end of Fed hiking cycles, when US Treasury yields typically also decline." 2. Our economists believe global economic growth will stabilize. "Strong balance sheets typically outperform weak balance sheets when economic growth is weak or decelerating and underperform when economic growth is strong or accelerating." 3. The recent cycle of strong balance sheet outperformance has approximately matched the typical historical cycle. "There have been 7 cycles of strong balance sheet stocks outperforming weak balance sheet stocks since 1980." 4. The relative valuation of strong vs. weak balance sheet stocks ranks in the top quintile versus the past 35 years. "Based on five different metrics, the relative valuation of strong vs. weak balance sheet stocks currently stands in the 85th historical percentile since 1980."